'Exhilarating ... an exquisite, painful book.' Lara Feigel, GuardianA brave, timely, searingly beautiful novel set in contemporary Pakistan, from the author of Maps for Lost LoversWhen shots ring out on the Grand Trunk Road, Nargis's life begins to crumble around her. Her husband, Massud - a fellow architect - is caught in the crossfire and dies before she can confess to him her greatest secret. Under threat from a powerful military intelligence officer, who demands that she pardon her husband's American killer, Nargis fears that the truth about her past will soon be exposed. For weeks someone has been broadcasting people's secrets from the minarets of the city's mosques and, in a country where the accusation of blasphemy is a currency to be bartered, the mysterious broadcasts have struck fear in Christians and Muslims alike. Against this background of violence and fear, two outsiders - the young Christian woman Helen and the mysterious Imran from Kashmir - try to find an island of calm in which their love can grow. 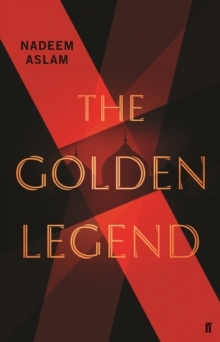 In his characteristically luminous prose, Nadeem Aslam reflects Pakistan's past and present in a single mirror - a story of corruption, resilience, and the hope that only love and the human spirit can offer.